Can you get too much advice before starting to run? The answer is definitely, Yes!The overload of information, hype and advice is definitely hindrance to getting started and it is very frustrating? How do you know how much and when? There is good evidence that your body knows the easiest way for you to start running and if you listen to the feed-back it provides, you will avoid injury and stay motivated to keep on running. Stride length is also very important for maintaining efficiency and reducing injuries. Don't get caught up in jumble of stuff about shoes, information and advice, because most of which is 'much to do about nothing'. People who try to mimic someone else when they start to run, or who change their natural gait, run less efficiently, and are more prone to injury and more likely to give up. Its only running after all, which is very natural, so keep it simple. Do you really need all that advice? Is There a Perfect Way to Run? For example the concept that there is a perfect running gait and stride, like hitting the ground with the fore-foot or mid-foot or avoiding hitting the ground first with the heel, is a myth. There is no scientific evidence for this advice and there is no 'perfect way to run'. Research studies have shown that most people generally adopt a style and gait that is most efficient for their own bodies. Many people so just start running barefoot, which is a surprisingly natural way to run on a soft surface! Much of the advice about running is simply hot air and chaff. All the hype and conflicting advice makes it hard it is for someone who is not used to running to begin running. Much of the fight is about money - extracting your money from you. There are huge battles fought over shoes, running form, schedules and training programs. Should you run alone or with a friend or group? Should you warm up, stretch first or warm-own and stretch afterwards. Should you start slowly and how quickly should you step up the pace and the length of the run? 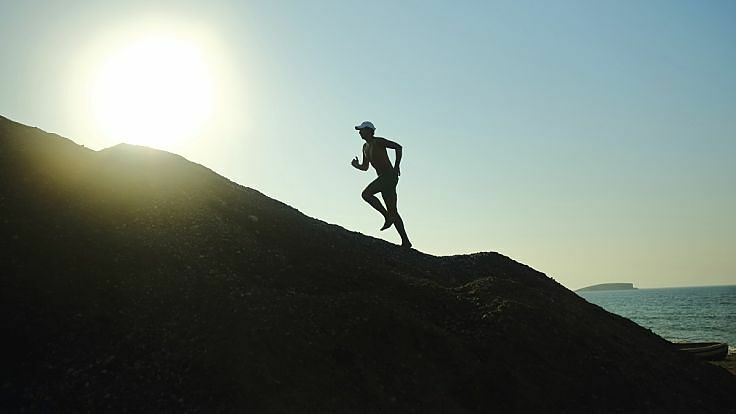 Researchers say that most of those complications are totally unnecessary and most of the advice is risky, because it can make running harder than it should be, expensive to start, can destroy motivation and can increase the chance of injury. Simple running, even barefoot, should be easy to start and make you feel good. Running should be enjoyable so don't hamper your enjoyment with all the complicated stuff - do what comes naturally and listen to what your body is telling you. What Style and Gait is Best? The concept of the perfect gait and running style has been shown to be a myth. Elite runners have a huge variety of different styles that various people copy. Its bit like the questions you get asked when someone admires a photograph you have taken "What camera do you use". Runner try to adopt the winning style - when plainly there is no such thing and such a huge variety between elite runners. Some elite athletes strike the ground with the heel, others with the midfoot, some land on the front part of their feet. Some runners look elegant and stylish, while many others look unsymmetrical, awkward and clumsy. Trying to copy these styles is fruitless and is unlikely to provide any benefits. However there is some useful simple advice - most of which is common sense. A lot of research has been done on the best way to train novices and how to prevent injuries which can occur when people start running. There is no perfect program for novices. It really depends on your goals and your general fitness level before you start to run. Experts are quick to point out that it is very important to begin slowly, and to increase distance, speed and effort gradually when you feel comfortable to do so. Don't become a slave to a rigorous program or schedule, but learn to adapt, be flexible and rest when you feel signs of strain or minor injuries. Start with your own natural form, which is likely to change naturally as your running develops and you get fitter and your body adapts to the regular routine of running. John Raglin, who researches running at Indiana University, has said that running is prone to all sorts of trends and fashions that quickly go out of date. People will latch onto anything - New. Fashions and ideas change like the wind. The key advice he gives is that you have to be very patient and start slowly. Listen to what your body is telling you. People are driven by unrealistic goals in a very short time and assume that they can get there with very little work or training. But the reality is very different. It takes time and everyone is different and will take varying amounts of time and training to increase distances and running speed. Individuals, even elite athletes, vary widely in their ability to adapt to training and develop. There is very little science to explain why individuals are so different, but this has been well documented. Minor strains and injuries appear to be inevitable and it is important that runners expect them and con cope with them. Two novice runners can start training with the same intensity, running similar distances and have similar outcomes in races, and so be virtually equivalent. However one athlete will fail under the training regime and the other will thrive and excel. So if your training program is not working as expected, or is too hard, don’t persevere with it because you think you have to, but learn to adapt and change your program in response to how you feel. Give it time and be more patient. Many researchers suspect that setting unreasonable goals is the primary reason why about 50%of all people who begin a running program drop out, usually in the first 4-6 weeks or so. Others give up after getting injured because they pushed too hard or did not allow time to rest and recover. Unfortunately, injuries seem to be an almost unavoidable part of the sport. A research study showed that about 20% of novices who trained to do a popular 4-mile run were injured and quit the program without running in the race. Research has shown that running injuries are simply linked with running itself and its hard to identify causes. The more people run, the more likely they get some sort of injury. How quickly can you ramp up the distance you run per week? Once you get used to running you may want to increase the distance. One rule of thumb that many people use is the 10 percent rule - increase your distance no more than 10 percent a week. The concept is that this is a good way to increase your distance and effort with minimal risk of injury. How did this idea start - well it seems its origins are unknown and it has not been properly tested as well. However there is at least one large study of the 10 percent rule.The study involved more than 530 novice runners whose average age was 40.They group wanted to train for a four-mile race held annually in the town where they lived. Half the group were assigned a training regime that increased their training time by 10 percent every week over a 11 period of weeks, concluding with training 90 minutes each week. The other runners had an accelerated 8-week program that ended at 95 minutes a week. Every runner warmed up in the same way by walking for 5 minutes. Also every runner ran just 3 days each week. After the training the two groups had the same injury rate despite different rates of increase in the distance About one runner in five developed injuries in both groups. 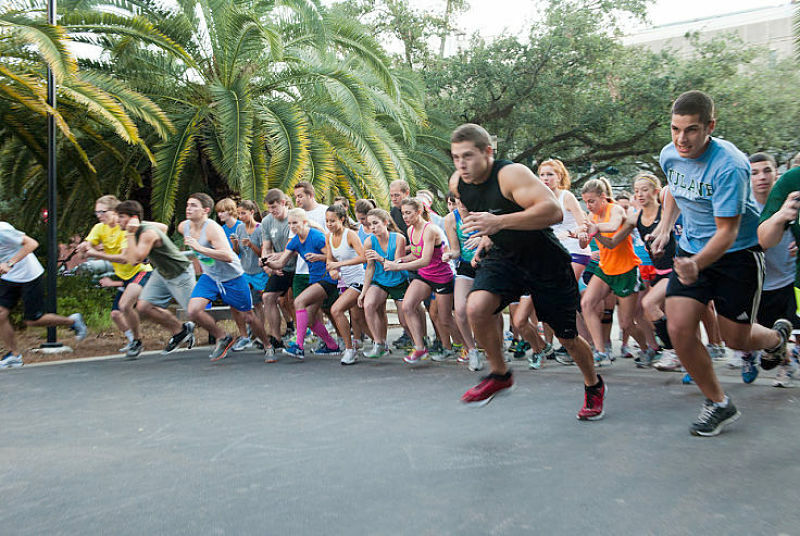 In another clinical trial runners were randomly assigning to two groups. One group of novice runners undertook a 4-week program of jumping rope exercises, walking and hopping designed to increase their general fitness and flexibility before they started starting their running program. The other group just started running without the preliminary work. Once again the conditioning program had no effect of the rate of injuries which was similar to before at 1 in 5 runners. So the 10% rule is another one of the runner myths and injuries to novice runners appears inevitable. 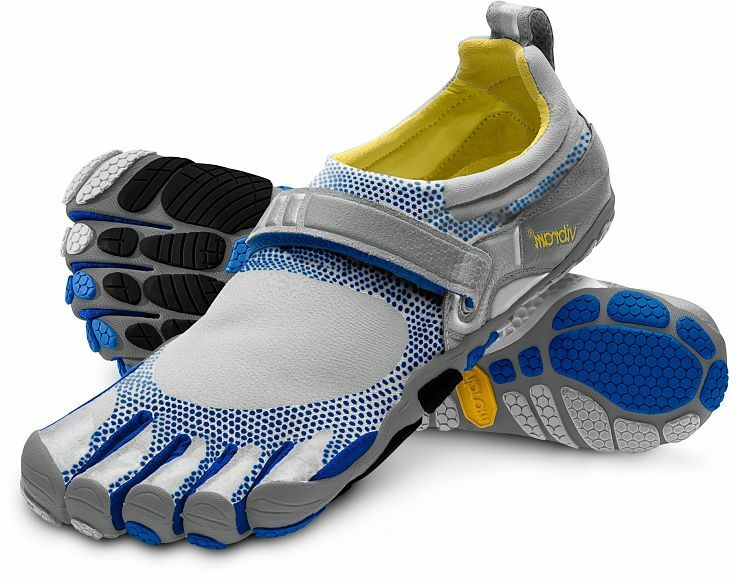 There is a resurgence of barefoot running with several versions of bare-feet running shoes appearing in the runners shoe stores. Does barefoot running decrease or increase the risk of injury? The answer is probably both Yes and No - it prevents some injuries but opens up the possibilities of a whole host of other types of injury. In the past year, there has been growing evidence that some runners, after shedding their shoes, have ended up burdened by new injuries induced by running barefoot. So what really happens to a modern runner when she or he sheds their running shoes and trains barefoot, with or without the 'barefoot running shoes' that are supposed to mimic running with bare feet and offer protection from abrasions? 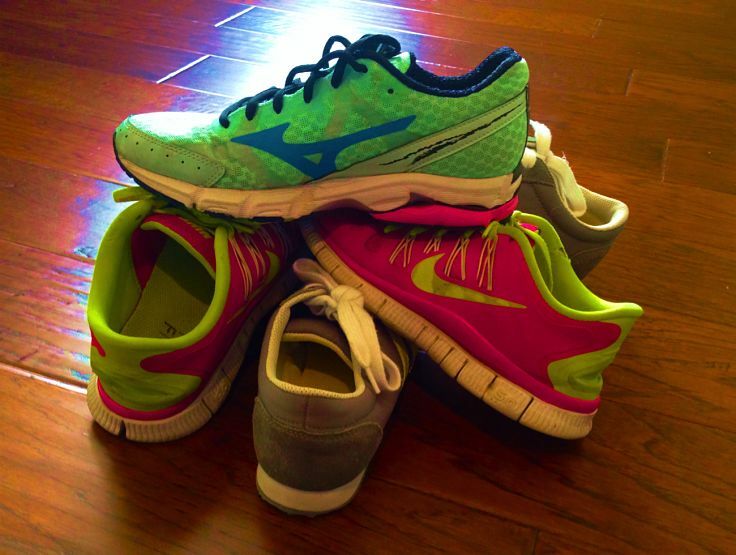 Research has shown that wearing shoes tend to increase the stride length of most adults and children. Also people wearing shoes tend to land with more force on their heels. A study of Kenyan school children in published in Nature, found that urban schoolchildren who habitually wore shoes ran differently from those who lived in the country, who ran barefoot. Most of the urban children wearing shoes landed on their heels and generated significant pounding of their skeletons. The barefoot runners typically landed closer to the front of their feet and landed more lightly, without major pounding. 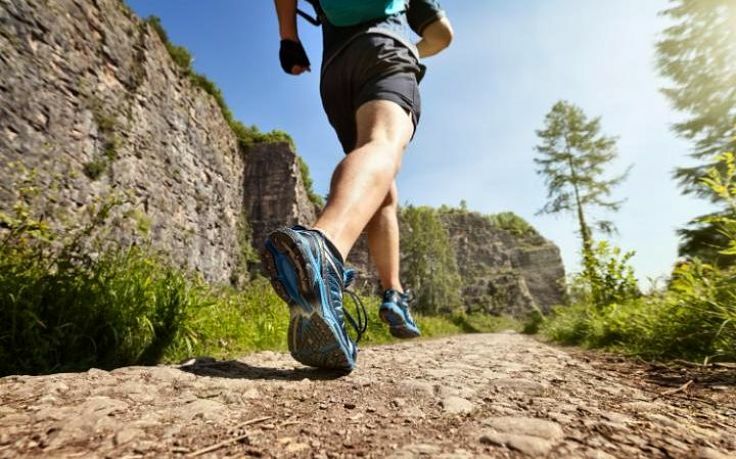 The conclusion was that barefoot running is apparently better because there is less pounding which should lead to less wear and tear, and injuries. 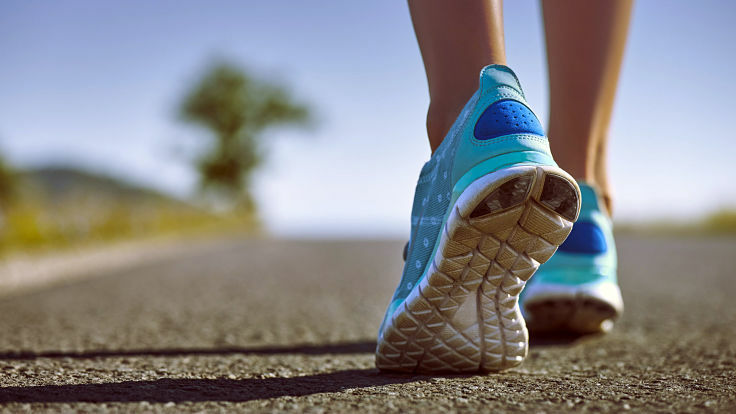 However people who are used to running in shoes tend to have a much longer stride, and this tendency still occurs when people take their shoes off. The longer stride can increase the strain on the leg. 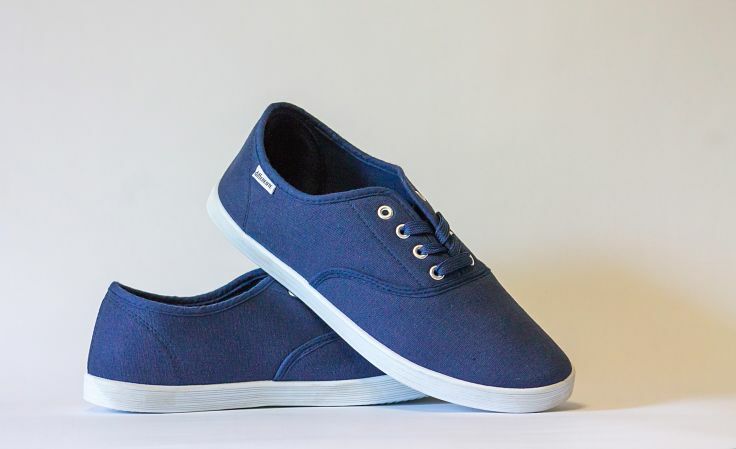 Without the cushioning effect of the shoe to help absorb some of the impact and the strain it causes, the amount of pounding may be the very similar with and without shoes. Most barefoot runners eventually shorten their stride, nevertheless barefoot running might actually increase injury risk through this mechanism, especially due to the absence of the cushioning effect of the shoes. If one is not experiencing any injuries, then it is probably best to not change what you’re doing. 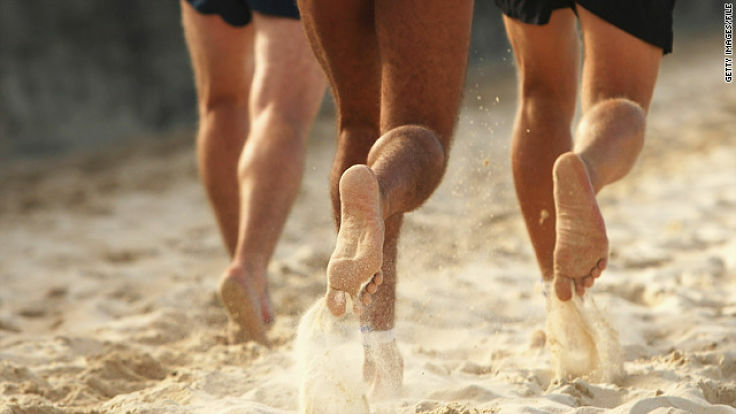 Barefoot running is best done with a short stride on the soft sand of a beach or in grass with a soft surface. It you want to try making the switch the advice is to make the change slowly. Take your shoes off or change them for the last part of your training run, and gradually increase your barefoot running over a period of several weeks. Take care to run on soft surfaces or wear barefoot running shoes or other footwear such moccasins to prevent lacerations. Don’t over stride and make sure your stride is much shorter when you are running barefoot. Land lightly and don’t lean forward. Humans may have been built to run barefoot, but not with the bad form induced by decades of wearing shoes. 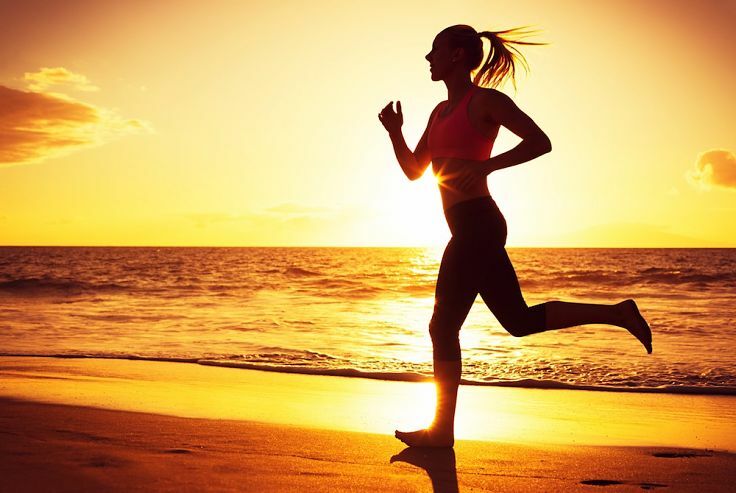 Running at dawn and dusk helps to avoid the hottest part of the day. Generally there are light winds in the morning. Choose the best tide for sand firmness conditions.